Download and install OpenOffice.org. Then, click File->New menu. 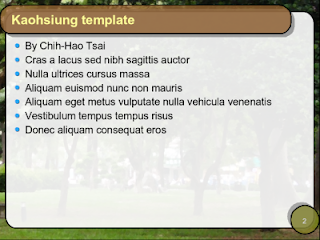 The last option in this menu is Templates and Documents. How exciting! This option implies some great templates are actually there waiting for you. Keep in mind OpenOffice.org opens various formats including OpenDocument (ODF) and Microsoft Office format. These listings generally include all categories: Writer, Impress, Calc, and Draw. 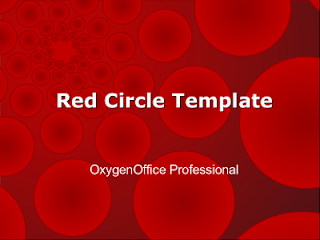 I like OxygenOffice Professional (OOOP) because it packages templates as an extension that is easy to integrate into OpenOffice.org. View the extensions download page. Pick a file based on your two-letter language code. Unified or separated only matters if you use multiple languages. If you cannot install from the web browser, then download to your hard disk and use OpenOffice.org's Tools->Extension manager to install the extension. In OpenOffice.org, browse your new templates using File->New->Templates and Documents. Current English OOOP templates (unified or separated) include 460 templates including 213 Impress documents, 11 resumes, 1 CV, a gantt chart, and even a seed packet template. Download the non-free package for 62 more (English). The Professional Template Pack is an extension package by Sun Microsystem. Install using a similar procedure to OOOP. The documentation.openoffice.org site has a templates section. I see a lot of overlap with OOOP. The biggest difference OOOP installs while the documentation site is browse-able online. IBM Symphony has a Gallery of templates and clipart. OOExtras has a wide variety but has not lately been maintained. Microsoft's Mac Office site has a few templates. If you have Microsoft Office installed (in parallel, of course), you use Internet Explorer (as last resort), and if you submit to their screening process, Microsoft Office Online has some very nice templates. Cybersite Consulting has a few templates including calendars. The extensions.openoffice.org site has a templates section lists the Sun and several OOOP template packages. Worldlabel.com has templates for Avery labels, CD, DVD, and business cards. The EU has a Europass CV template. Chih-Hao Tsai's templates include my favorites Kaohsiung, Mars, Xuhai, and Titan. The Linux Box has 5 templates. Nice. OpenOffice.org Blogger Solveig Haugland made a few templates. Discovering OpenOffice has two Impress templates. Especially considering Microsoft Office templates, there are plenty more to be found online. Here are some searches to get you started. In some cases, you may still want to create your own. Tastes differ, but I suggest simple, understated designs. OpenOffice.org does indeed have many excellent templates. You have more to choose from because of OpenOffice.org's support for multiple document formats. If you spot any more good looking templates, leave the URL in a comment.